When it comes to the movie experience, it doesn’t get any better than the Imax, digital picture and sound projected onto giant screens. But not all Imax theaters are equal. Thor was the movie this weekend, and it was showing at both Sacratomatoville Imax theaters. Meeting friends I bought my ticket via Fandango for the Imax in El Dorado Hills. Upon entering the theater I was immediately disappointed by the size the screen and the theater. The theater (they call them Auditoriums) was ordinary sized, similar to what you would find in any multiplex in the area. The screen was large, and larger than a normal theater screen, but not nearly as large as the Imax Esquire downtown. 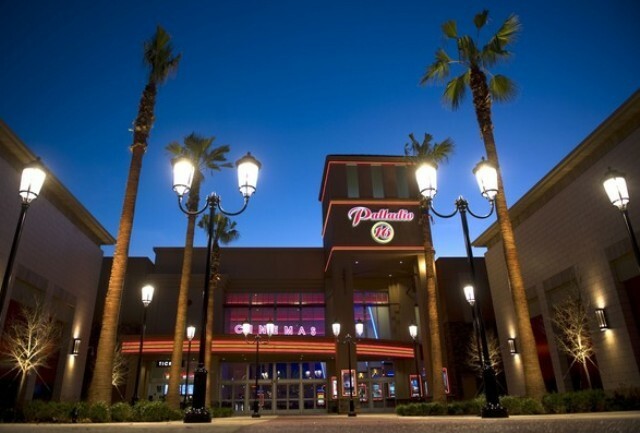 The Palladio is the only complex in the area with all digital theaters. Thor was great, the sound in the Regal Imax was fantastic, but for the ultimate movie experience, its the Imax Esquire downtown. The Esquire Imax Screen measures sixty feet by 80 feet which is a few feet smaller than an entire Basketball Court. The Sacramento theater is one of nine Imax theaters in the state that uses Imax’s 1570 (true 70 millimeter) Digital Projector which is the systems premier projection system. Which is considerable brighter that El Dorado Hills Digital System also used at other Sacramento Theaters. There are certain disadvantages with the downtown Imax, the seats are preassigned and parking, well its downtown. The prices are the same for either Imax, it will cost you nearly twenty bucks per seat, but at the end of the day size matters. This entry was posted in Entertainment, NEWS SACRATOMATOVILLE and tagged IMAX, Imax Esquire Sacramento, Imax Regal 16 El Dorado Hills, IMAX vs IMAX "Size Matters", Palladio 16 Cinemas Folson, theaters, Thor. Bookmark the permalink. ← Skinny/Thin people should be banned from all you can eat Restaurants!